Pamela Bundy founded Bundy Development Corporation (BDC) as a vehicle to realize her vision for thriving city neighborhoods in her adopted hometown of Washington, D.C. Over the past decade, BDC has been a pioneer in urban-style development which has been an integral part of the rebirth of Washington’s downtown. BDC has been a partner in the development of two of the City’s largest mixed-use projects: CityVista, a $300 million development that provided more than 685 condominiums and approximately 100,000 square feet of retail space; and “CityCenter,” a $1 billion, 10 acre, mixed-use development. Ms. Bundy began her professional career in corporate management. She became certified as a real estate appraiser and opened her own appraisal firm. She is a graduate of Lincoln University and an alumna of Harvard Business School’s Executive Owner President Manager (OPM) management program. Ms. Bundy has received numerous awards, including: the 2014 CREW (Commercial Real Estate Women) Placemaking Award; CREW’s 2011 Network Impact Award; and the Washington Business Journal’s 2008 Minority Business Leader Award. Ms. Bundy was also named one of the “Women Who Mean Business” by the Washington Business Journal and “Entrepreneur of the Year” by the Parren J. Mitchell Foundation, both in 2004. Under her leadership, BDC was nominated for Black Enterprise’s “Emerging Company of the Year” award in 2001. Ms. Bundy is involved with several prestigious civic organizations. 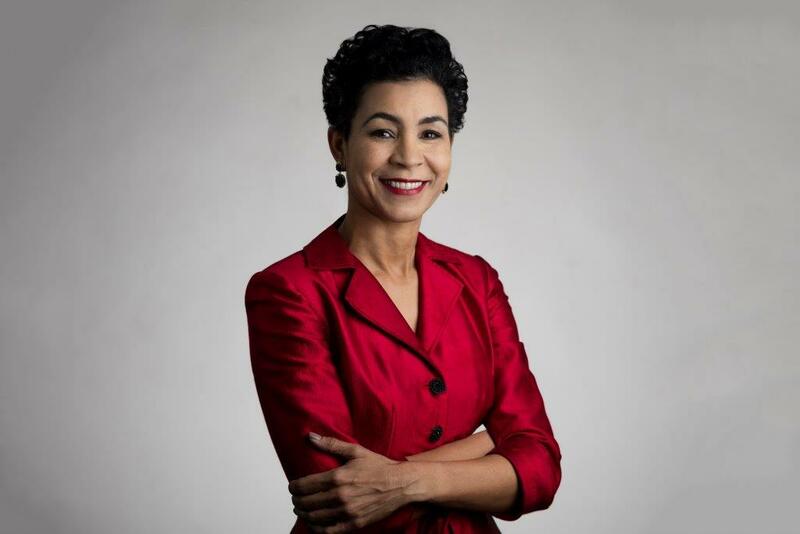 She is an appointed board member of the Executive Committee of the District of Columbia Building Industry Association; a former member of the Urban Land Institute’s (ULI) Executive Council; a 2003 member of Leadership Greater Washington; and a member of Commercial Real Estate for Women (CREW). She currently serves on Lincoln University’s Board of Visitors and on the Board of Advisors of the Lowe Economic Development Corporation. She has served on the Capital One Advisory Board, and the Board of Directors of Jubilee Housing and the Women’s Business Roundtable. Ms. Bundy was honored by Girls, Inc. in 2008. Born in Hustle, Virginia, Ms. Bundy grew up working in a family-owned and operated business. Mr. Sheldon M. Bonovitz, Esq. The Barnes Foundation (barnesfoundation.org) was established by Albert C. Barnes in 1922 to “promote the advancement of education and the appreciation of the fine arts and horticulture.” The Barnes holds one of the world’s finest collections of impressionist, post-impressionist and early modern paintings, with extensive works by Pierre-Auguste Renoir, Paul Cézanne, Henri Matisse, Pablo Picasso, Henri Rousseau, Amedeo Modigliani, Chaim Soutine, and Giorgio de Chirico; works by American masters Charles Demuth, William Glackens, Horace Pippin, and Maurice Prendergast; old master paintings; important examples of African sculpture; Native American ceramics, jewelry, and textiles; decorative arts and ironwork; and antiquities from the Mediterranean region and Asia. While most collections are grouped by chronology, style, or genre, art at the Barnes is arranged in ensembles structured according to light, line, color, and space—principles that Dr. Barnes called “the universal language of art.” The Foundation’s programs include First Fridays, young professionals nights, tours, tastings, and family programs, as well as Barnes-de Mazia Education Program courses and workshops. These programs advance the Foundation’s mission through progressive, experimental, and interdisciplinary teaching and learning. The Barnes Foundation is open Wednesday–Monday and tickets can be purchased on-site, online, or by calling 215.278.7200. Ticket prices and current hours are listed on our website. The Barnes Arboretum in Merion contains more than 2,500 varieties of trees and woody plants, many of them rare. Founded in the 1880s by Joseph Lapsley Wilson and expanded under the direction of Laura Leggett Barnes, the living collections include 40 state champion trees, a Chinese fringe tree (Chionanthus retusus), a dove tree (Davidia involucrata), a monkey-puzzle tree (Araucaria araucana), and a coast redwood (Sequoia sempervirens). Other important plant collections include lilacs, peonies, stewartias, ferns, medicinal plants, hostas, and magnolias. The Horticulture Education Program has offered a comprehensive three-year certificate course in the botanical sciences, horticulture, garden aesthetics, and design since its establishment in 1940 by Mrs. Barnes. The arboretum also offers horticulture workshops and lectures, and is open to the public Friday–Sunday from May through November. Tickets can be purchased on-site, online, or by calling 215.278.7200. Ticket prices and current hours are listed on our website.